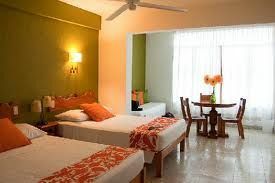 Located on Los Muertos beach in old Vallarta, Playa Del Sol Club is a resort that combines the history of Vallarta with the modern amenities of a World Class timeshare resort, to give an unforgettable vacation experience. This resort gives you the best of two worlds - the beautiful Banderas Bay and beach and the endless offerings of downtown Puerto Vallarta. 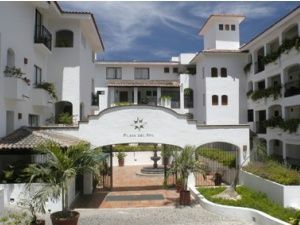 Playa Del Sol Club was designed with Old Vallarta in mind with a white stucco exterior, red tiled roof, and wrought iron gates and accents. 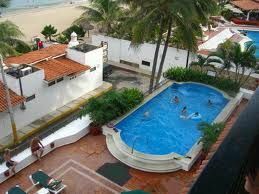 This 66 timeshare suite resort gives you the quaint charm of an older Mexican villa. Once you walk outside and notice the enormous free form pool with a huge infinity edge that seems to go into the ocean, you’ll realize that we’ve provided the amenities that will inspire you to say “Wow!” Vacationers looking to sell, buy or rent a timeshare can enjoy breakfast, lunch, or a cold beer from Pirates restaurant. We will even serve you under a palapa (hand made thatched umbrella), sitting in a lounge chair on the beach. There are countless activities that you can take advantage of in Puerto Vallarta from taking a four wheeler thru the jungle to eco tours, or deep sea fishing. One thing’s for sure, if you are recovering from an exciting adventure or just trying to unwind from daily life, our infinity hot tub and Spa Del Sol will certainly come in handy. Spa Del Sol has many massages, body wraps, and packages to choose from. They even have manicures, pedicures, and facials. Their mission is to improve the physical and emotional well-being of each of their clients in an atmosphere of tranquilly and harmony. Contact Playa Del Sol Club Specialist Today!